Dogs may display aggressive behavior for a variety of reasons, and responding in the wrong way can actually make your dog's behavior worse. Find out why dogs might act aggressive. Aggression in dogs is a complex and widely misunderstood issue. Many pet parents fail to correctly identify the source of their dog’s aggression, and this can result in a situation where the problem is mismanaged and actually made worse. 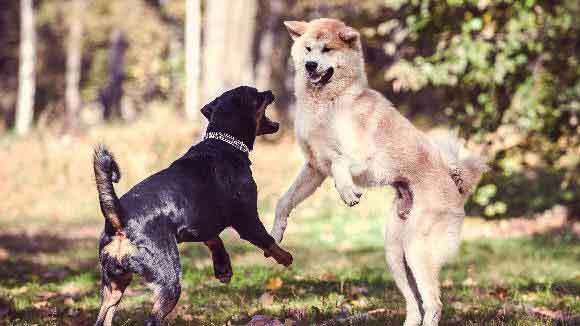 So how do you figure out what is causing your dog’s aggressive behavior? First, visit a veterinarian to rule out any medical problems that could be causing aggression. If there is no underlying medical condition, take a close look at the times when your dog behaves aggressively. What are the circumstances? Does it only happen in your home? Or when you take away one of their toys? Or when the dog feels threatened? Fear aggression is the result of a flight-or-fight response. When a fearful dog feels threatened, they would prefer to get away from the person or animal that is making them feel that way. However, if the dog feels trapped or unable to escape, they may respond with aggression. Many dogs with fear aggression will take up submissive postures or appear to cower, but then attack when a person reaches for them or an animal approaches them. Defensive aggression is motivated by the same flight-or-fight response as fear aggression, however instead of first trying to get away from the threatening person or animal, the dog’s instinct is to protect themselves with an attack. These dogs often exhibit a combination of submissive and defensive postures, and will charge persons or animals whom they see as threatening. Dogs are descended from wolves, and wolves are highly territorial pack animals. Many dogs exhibit some of the same territorial tendencies as their wild ancestors, and will display aggressive behavior to people or animals who appear to be invading their turf -- usually the home and/or yard. The same pack mentality that can result in territorial aggression can also result in protective aggression. With protective aggression, a dog is attempting to protect a member of their pack, either human or animal. Oftentimes, this type of aggression shows up after a human baby is born into the family and the dog believes they need to protect the baby. The dog’s wild relatives -- wolves and coyotes -- are two of the most infamous predators. 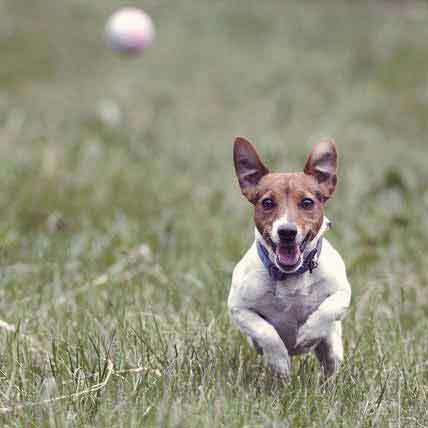 Many dogs have retained their predatory instincts, and enjoy the thrill of the chase, be it with people, animals, cars, or any fast-moving object. While predatory aggression toward humans and other dogs is relatively rare in domesticated dogs, it still occurs, and often without warning. Social aggression is the result of a dog feeling like their status in a pack or social group is being threatened. 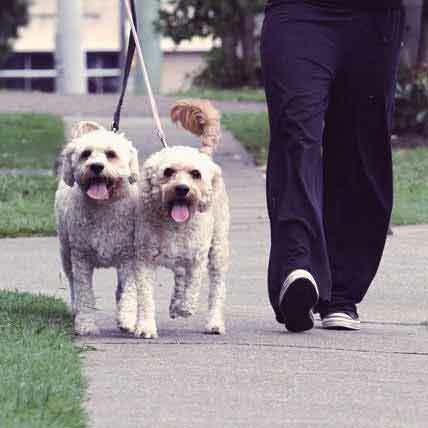 These dogs often have dominance issues, and will exhibit aggression if they feel a person or animal has crossed a line. Crossing a line could mean any number of things, including trying to pick up the dog, or walking through a door at the same time as the dog. Dogs are a lot like in children in that they can become hostile if they feel frustrated. 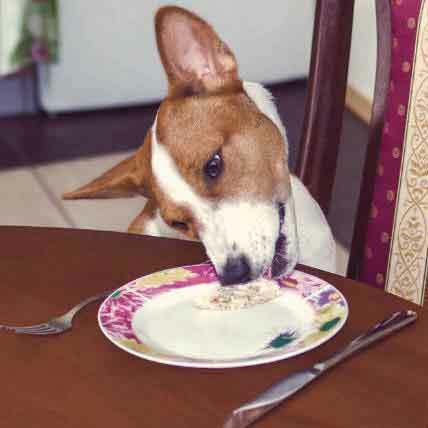 For example, a dog who sees a piece of dropped food but is held back from reaching it may respond aggressively to the person holding them back. Many dogs with this type of aggression get riled up when restrained in any way, including being put in a crate or behind a gate. This type of aggression occurs when a dog is already excited or acting aggressive toward a person or animal and a third party gets involved. A good example is a person who gets bitten when trying to a break up a fight between two dogs. This type of aggression is caused by a dog’s instinct to compete for access to a mate. You may see this type of aggression between two male dogs or two female dogs who are living together. It is most common in intact male dogs, but can also be seen in intact females as well as adult dogs who have been spayed or neutered. Understandably, pain can cause a dog to lash out. 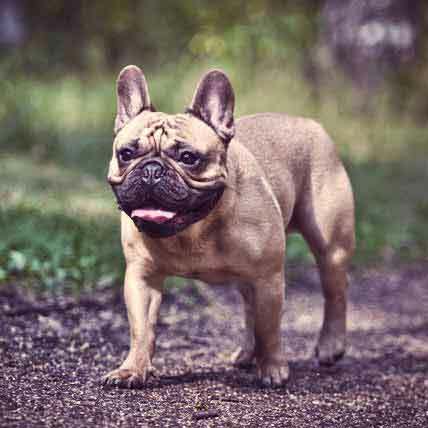 A dog who is injured and then touched may respond with a bite, and the improper use of a prong or shock collar could also cause a dog to react aggressively. 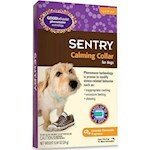 Talk to your veterinarian if you suspect that your dog is in pain. Dealing with an aggressive dog can be extremely dangerous. Contact your veterinarian, a dog trainer, or an animal behaviorist if you feel that you need help.